1. Systemic hyperhidrosis and bromhidrosis: Compensatory sweating and odor after surgery affirms that the cause of this condition is of an internal, systemic source. 2. Compilation of data: As a community, our goal is to compile data of our symptoms and possible triggers to look for patterns as the initial step for formal scientific research. All are encouraged to participate in MeBO Research and Arun's upcoming projects to achieve this goal. a. Passports: WE NEED TO GET OUR PASSPORTS NOW; in the U.S., it takes about 2 months to process for 1st time applications. b. A meet-up is likened to a pilgrimage: What an emotionally healing experience previous meet-ups like this one have been in such a beautiful setting, as we experience a strong sense of ‘belonging’, as opposed to our usual sense of being an ‘outsider’ in our every day social experiences. 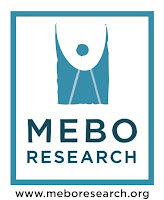 One of MeBO Research’s aims is to promote social awareness of systemic body odor amongst the scientific/medical communities, and in the public and political spheres.4. Raising social awareness: One of MeBO Research’s aims is to promote social awareness of systemic body odor amongst the scientific and medical communities, and in the public and political spheres. Some of the members of the call have expressed an interest in participating in political lobbying and media exposure under the MeBO umbrella as a non-profit organization.